In this article we will know about the best identity theft protection apps and why are they very important to adapt in our daily life. Identity theft protection service providers are basically doing the job of protecting our credits and public dealing records from the hands of fraud people who does malfunctions for their own negative reasons. These types of protections are also needed for doing the job of cleaning up of the mess, and rebuilding your credits which in returns can cut off all kinds of negative plans. Before choosing from the below-given companies, please visit their websites for more of their service details, their updated fees, and upcoming discount promos against which they can provide you the best satisfactory services. And nowadays theft and crimes are increasing day by day. All times it is not possible to resolve all the credit related crimes of our own. Because it is a full-time work and it is not possible for our own to keep an eye on all those matters. So it’s better to keep a professional team or company to do the job on our behalf. Identity Force is basically working in four steps. Firstly they will monitor our personal identity by keeping a strong eye on our credits. Secondly, they will alert us if they detect any sort of mischief is found in with our credit score by phone, or we will get an email or will get SMS. Thirdly they will help us to take control over our personal data and information from being getting further damaged and so we can solve our personal information from getting into risk. And fourthly they will make us relax by keeping our personal credit information’s secured and will update our paper works and will do everything to save our personal data safe and secure. The identity protection pricing comes with two plans. One is UltraSecure+Credit and UltraSecure. The first one is most popular and the price is kept just $23.95 per month and the second one is $17.95 per month. Recommended Reading: Identity Force Review. The work style of Identity Guard follows a three steps rule. First they will monitor our personal credits; secondly, they will protect it from various types of negative attack and thirdly they will recover our personal information from getting hacked and malfunctioned. They have three plans one is Identity Guard Essentials, second one is Identity Guard Total Protection and the third one is Identity Guard Total Protection. First one comes in $9.99 per month, the second one comes in $19.99 per month and the third one comes in $24.99 per month. Recommended Reading: Identity Guard Review. Lifelock is an American based identity theft protections app provider. They can provide services to all sorts of customers. Their budget and plans of services are unique and reasonable. They can avail or reach to all kind of customers by their different plans. The pricing system starts from $10 to $27 and their different plan stock generally suits everyone. They have three types of plans: Lifelock standard, Lifelock advantage, and Lifelock ultimate plus. Three plans differ from each other. But some initial features are common to themselves. But as we increase our fees and subscriptions we will get better service or advantages. Basically, they work in three processing systems, first is detection, the second one is alert system and the third one is protections. Credit sesame works in ten stages. It comes in the fourth positions. Firstly it will monitor our credit and will secure our free credits. Secondly, they will give us total free theft protections. Thirdly will monitor us timely if they detect any sort of problems or fraud is done with our credits. Fourthly they will give advice on how to improve our credit score to make our financial conditions better and powerful. Fifthly they will help us to manage our every debt and free credits limits in one place for our better understanding. Sixthly they will help us to make a chart of our every financial issue and will help us to track our loans and payments properly for our easy dealings. Seventhly they will guide us how we can save money from our existing loans and debt. Eighthly they secure our data and information through strongest encryption methods from getting misused by third parties. Ninthly we can access our credit sesame account from mobile and from a desktop. So wherever we are we can access our bank accounts and credit limits securely without any tensions. Tenthly they believe that personal credit and debt information are a consumer’s right and so they have kept their services completely free. Recommended Reading: Credit Sesame Review. TrustedID basically gives focus on the main key areas like they keep a daily monitor on our credits reports so that we can improve our credit score. Secondly, they keep an eye on our public database and social security numbers. So that in future if they found any sort of fraud or problems they can inform us in an advance. Thirdly they will give us an idea and measurement how to measure our risk and problems so that we can take the important measurement in our near future. Fourthly and fifthly they give us family protections along with 1 million dollar theft insurance. They have two types of plan one is the family plan and the other one is the individual plan. In the family plan, if we go for annual subscription process we will be charged $25 per month. And if we choose monthly plan we will be charged $29.99 per month. That means in annual subscriptions plan we will save total $59.88 in a year. And moreover, they are also saying that if we are not satisfied with their services they will refund our money and anytime we can cancel the deal with them. ID Patrol will help us to monitor our credit file and alerts. Along with that, we will also get assistance in gaining the ability to lock and control our Equifax credit files important factors so that we can restrict any sort of unauthorized credit activities. 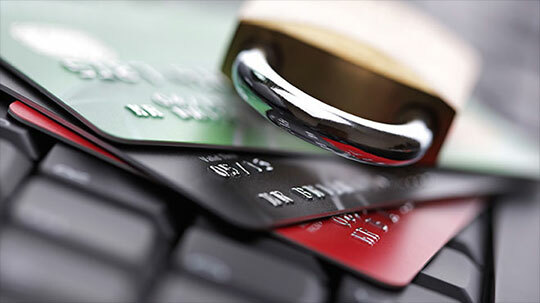 One is Credit Monitoring and ID Theft Products. In which we will get two types of plans. One is Equifax Complete Premier Plan which cost $19.95 per month. The second one is Equifax Complete Family Plan which cost $29.95 per month. Credit Reports & Credit Scores. In these products, there are two plans. One is Complete Report which cost $39.95. The second one is Equifax Credit Report and Score which cost $15.95 per month. FICO Products. In these, there are also two types of plans. One is Credit Score Watch which cost $14.95 per month. The second one is Score Power which cost $19.95 per month. Quizzle is another free identity theft protections app. Here we will get the same protections systems like monitoring, alert, and control. We can get full support or assistance from Quizzle for our credit related issues and how we can improve and control our credit score. But if we want to upgrade to their existing plans then they are having two types of plans. One is Quizzle Pro which will cost us $ 8 per month. The second one is Quizzle Pro+ which will cost $15 per month. PrivacyGuard claims to be the Award-Winning Resolution Team who will assists us 24/7. PrivacyGuard generally gives focuses on credit reporting, credit monitoring and identity theft protection service that will help us to maintain and control over our most critical and privatization information. So with their constant support and assistant, we can keep our goodwill safe and secure. For their constant help and support, they will charge us only $19.99 per month. But for first if a new customer comes they will get 14 days free trial after which if we are satisfied then we can continue or otherwise we can give up their plan. AllClear ID has different alert tools through which we can get an instant alert from fraud and malfunctioning. Not only these have they had several alerts for us in whom we will get Identity Theft Monitoring, Child Scan, and Credit Monitoring. So with their constant help, we can help we can easily safeguard our identity from getting misused. For their constant support and help, we will have to pay them just $14.95 per month. First and foremost Credit Karma will help us to understand our credit limits so that we can improve our financial status. They will help us for free so that we can get our free credit scores, reports, and monitoring. Not only that they will also help us by recommending us credit cards and loans which will suit best into our credit profile. Credit Karma is having lots of financial calculator for various reasons. So go for it and enjoy this app for 100% free. There are no fees required to become the member or to enjoy their tools of credit karma. There is lots of information mentioned above regarding the best identity theft protections apps. You can go and research more for your own personal reasons and suitability if you are really planning to go for this sort of app. We also reviewed over 20 of the top credit monitoring & identity theft protection services and came to fairly close conclusions as you found. The only others we included in our top 10 were the services offered by TransUnion, Experian & USAA. Plus we rated IdentityGuard.com as our number one pick. But I think you are right on the money with IdentityForce & Lifelock being top 3 for complete credit monitoring solutions.